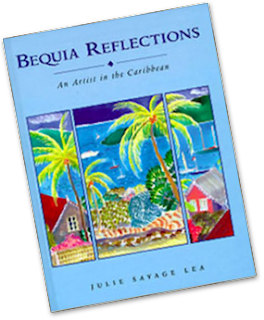 Buy a copy of Bequia Reflections - An Artist in the Caribbean directly from the artist. Email Julie to order. Also available from Bequia Tourism. Buy directly from Julie. Email Julie to order. Julie Savage Lea - Painter from Bequia: Ozone Books. The Art of Julie Lea: All At Sea. A Move to the Caribbean: The Wall Street Journal, Jan 2014.